WASHINGTON, DC, February 19, 2012 (ENS) – MOEX Offshore 2007 LLC has agreed to settle its liability in the Deepwater Horizon oil spill in a settlement with the United States valued at $90 million, announced the Department of Justice, the U.S. Coast Guard and the U.S. Environmental Protection Agency on Friday. At the time of the spill April-July 2010, MOEX was a minority investor in the lease for BP’s Macondo well about 40 miles offshore of Louisiana. It no longer owns any share of the lease. MOEX Offshore held a 10 percent share of BP’s Macondo well, which blew out in April 2010, releasing the largest offshore oil spill in U.S. history. Beginning with the well blowout and explosion on April 20, 2010, the owners and operators of the Macondo well and the drilling rig Deepwater Horizon allowed 4.1 million barrels of oil to escape into the Gulf of Mexico, affecting the entire region. MOEX earlier paid BP about $1 billion to settle claims. The U.S. government also has sued BP and Anadarko Petroleum, which held a 25 percent interest in the well, over Clean Water Act violations. Under the settlement, MOEX will pay $70 million in civil penalties to resolve alleged violations of the Clean Water Act resulting from the spill. This is the largest civil penalty ever recovered under the Clean Water Act. Of the $90 million settlement, $45 million will go to the United States. This money will go toward replenishing the Oil Spill Liability Trust Fund, where by law it will be available to pay for response actions, cleanup and damages caused by future spills. The remaining $45 million will go to five affected Gulf states in the form of penalties or expedited environmental projects. Those states will receive penalty payments: $6.75 million to Louisiana, $5 million each to Alabama, Florida and Mississippi, and $3.25 million to Texas. The terms of this settlement do not affect the potential liability of – or recoveries from – other parties involved in the Deepwater Horizon oil spill. MOEX Offshore agreed to spend $20 million to facilitate land acquisition projects in Louisiana, Texas, Mississippi and Florida that will preserve and protect in perpetuity habitat and resources important to water quality and other environmental features of the Gulf of Mexico region. “The negotiation process with MOEX included numerous discussions with the Gulf states, who have been indispensible in reaching this important agreement,” the federal officials said Friday while announcing the settlement. “This is good news for the Gulf Coast communities that are continuing to rebuild their economy and restore their ecosystem. This administration is going to stand with the people here to ensure a full recovery from the Deepwater Horizon oil spill,” said EPA Administrator Lisa Jackson. 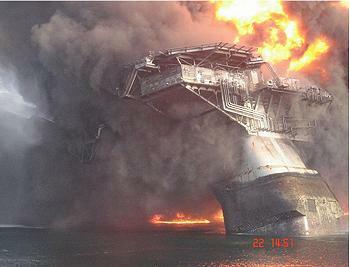 The Macondo well blowout and the ensuing explosion sank the Deepwater Horizon and killed 11 workers. The incident has led to hundreds of lawsuits against BP and its partners and contractors. The MOEX settlement does not affect the government’s claims against any other defendant in the Deepwater Horizon lawsuit that was filed on December 15, 2010. The non-jury trial of the first phase of the case is set to begin in federal district court in New Orleans on February 27, 2012.